the three angels of my trip. . .
i am guarded and guided by angels everywhere. okay, maybe they’re not angels but they’re close. they are three facebook friends who are making a real effort to help me in this year’s facebook new years resolution. last year, in 2011, i visited 292 of my then 325 facebook friends. i went all around the world, all around the united states, covering an estimated 60,000 miles. i would have liked to visit the remaining ten percent of my friends but circumstances got in the way. this year, i have committed to seeing at least ten (maybe twelve?) facebook friends who need me. because i sure needed my friends last year! every one of the 292 were generous with their time and their company. and they often cheered me on as i made other stops along my journey. for instance, tommy chang was f2fb friend #102 which means he was the one hundred and second facebook friend i saw last year. he roared into my back driveway in a black sports car. he had brought his galpal rachel li (now his wife) and they whipped up a wonderful chinese dinner. i had never had chicken hearts before and it took a little goading to get me to try. they were delicious! this year, tommy noticed i’m flying to boston on sunday. i am meeting with a facebook friend whose anxiety attacks have kept her from experiencing life the way she’d like to. in fact, her attacks have prompted several job losses and she’s worried she’s about to lose her present position. the attacks often happen when she’s in elevators so we’re going to do some playing with going up and down and back up again. tommy emailed me and asked if i would like to use his frequent flyer miles to be upgraded to first class. 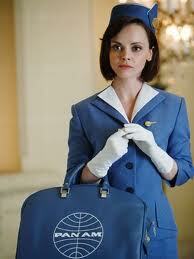 pan am went out of business and flying isn't as glamorous as it used to be but who wouldn't want to go first class? it means i get to jump the line at the t.s.a. maybe they won't dare to feel me up because i'm. . . first class! thank you tommy! and thank you also to mary mcmanus, who was f2fb friend #168. my anxiety attacks were so bad that when my older son joseph went to boston to attend boston university, i never once visited him. last year, mary took me around the campus so i could see where he ate, where his dorm room was, where he took his classes, even where he went to church. i was surprised to find out he went to church. mary emailed me and asked me if i had made hotel reservations for this trip to boston. i said i hadn’t. she said she knew of a cute little hotel that had some cats. was i allergic to cats? i am, but not that bad. 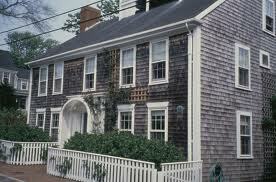 . .
turns out the hotel she's thinking of is hotel mcmanus, her home. i'll be sleeping in her daughter's room. if there's a diary tucked under the pillow, i'm reading it! i love finding out what teenagers are doing, especially if they're not my kids! and then there was another angel–this morning i leave for ohio to drop off eastman at college and then swing north to aim for coldwater, michigan where i’ll see my friend molly parshall. this will be an interesting trip. i’m a little nervous. i’m a lot nervous. oh, just let’s be honest–i’m quaking. but then this angel–hazel cameron warren, whom i have never met–emailed me to offer to extend reiki healing. i don’t know much about reiki healing but apparently it can be done without the healer and healee being in the same place. hazel has offered up her intention that i be safe, secure, healthy and happy. thank you angel hazel. angels figure prominently in the christian, jewish and muslim religions. 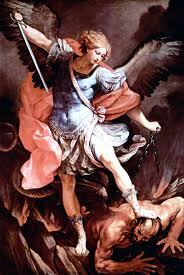 my favorite archangel is michael the warrior. but just for this moment, i think angels hazel, tommy and mary are just dandy! This entry was posted on Wednesday, January 25th, 2012 at 3:55 pm	and tagged with angels, archangel michael, facebook, first class, reiki healing and posted in Uncategorized. You can follow any responses to this entry through the RSS 2.0 feed. « packed up for my first facebook journey of the new year! Great one the Angels ! there is more to world we live in then the physical world.